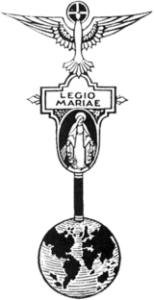 We are hoping to re-start a Praesidium of the Legion of Mary in St Thomas’ parish. There will be a short talk at the end of Masses on the weekend of the 20th/21st October from a member of another Praesidium. There will also be a follow up meeting after the 6pm Mass on Wednesday 24th October (6.45pm) in the church house. Please come along, and encourage others to do so.